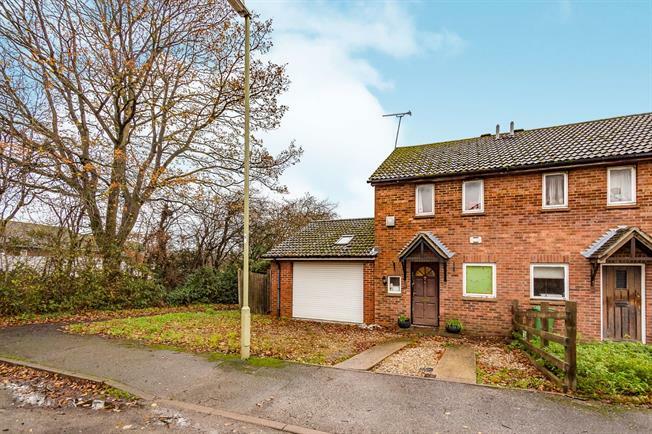 2 Bedroom End of Terrace House For Sale in Tadley for Offers in excess of £300,000. Gascoigne-Pees are delighted to present to the market this fantastic opportunity for property investors/developers. This two bedroom, end of terrace house, in need of full renovation, sits on a larger than average plot. The property has expired planning permission (previously granted on appeal in 2009) to build an adjoining two bedroom, end of terrace house, following the demolition of the existing garage. The plot boasts ample parking and outstanding potential STPP. For further details please look on Basingstoke and Deane's planning portal REF BDB/69363 or please speak to a member of our team for more information.